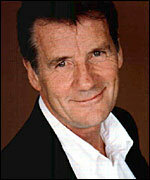 Having graduated from Oxford University in 1965 with ambitions to be a writer and performer of comedy, Michael Palin (born Michael Edward Palin in Sheffield on 5 May 1943) made his first television appearance as the rather unlikely sounding host of a regionally-produced pop show for children, Now (Television Wales and West, 1965-66). Meanwhile, Palin began writing sketch material with Terry Jones (whom he had befriended at university) for various television shows, in addition to working in cabaret with him as a double-act. Their major breakthrough arrived when they were recruited to the writing team of The Frost Report (BBC, 1966-67). Not only was the series itself a huge success, it brought the pair into contact with fellow writers John Cleese (who was also a performer on the show), Graham Chapman and Eric Idle (who they had briefly met at the Edinburgh Festival in 1965). Although he had begun to appear in sketches on the shows to which he contributed material, Palin 's major break as a performer was with the series Do Not Adjust Your Set (ITV, 1967-69). Ostensibly a comedy sketch show for children, but one that quickly gathered an avid adult audience, it featured Palin alongside Jones and Idle (with all three co-writing the series), David Jason and Denise Coffey , with short animation inserts provided by yet another future Python , Terry Gilliam . Palin and Jones followed this with their own series, The Complete and Utter History of Britain (ITV, 1969), a sketch series with, as the title implies, a history-based theme, although it failed to repeat the success of Do Not Adjust Your Set . Their next project, however, succeeded on a scale they could not have imagined. Monty Python's Flying Circus (BBC, 1969-74) finally saw Palin and Jones united with Cleese , Chapman , Idle and Gilliam to create what was to become one of British television's most influential series, comedy or otherwise. Launched without any fanfare, the show quickly drew a cult audience for the sheer originality of its humour, turning the writers/performers into arguably the most important and internationally influential comedy team ever to work in television. Palin followed Monty Python's Flying Circus with his own superbly realised series, Ripping Yarns (BBC, 1976-79). Palin starred in each episode of this anthology series parodying early twentieth century Boys' Own adventure stories, and co-wrote all the stories with Terry Jones . However, despite the success he enjoyed with Ripping Yarns (it won a BAFTA award in 1980 for best light entertainment series) it was the only post- Python comedy television series in which Palin appeared. He concentrated instead on feature films, co-writing and co-starring in all four Python feature films between 1971 and 1983, and gaining his first solo lead role in Terry Gilliam 's Jabberwocky (1977), an uneven fantasy-comedy with a medieval setting, loosely inspired by Lewis Carroll 's poem. Lead roles followed in The Missionary (d. Richard Loncraine, 1981), a period-set story of a refuge for prostitutes in the East End of London which he also wrote and co-produced; A Private Function (d. Malcolm Mowbray, 1984), an Alan Bennett -scripted comedy set in a small rural town in a post-war Britain ruled by austerity and rationing; and American Friends (d. Tristram Powell, 1991), a gentle romantic comedy set within the environs of Oxford University in the 1860s, co-written by Palin and based on the story of his great-grandfather, an Oxford don. He also won a BAFTA award as best supporting actor for his performance in the comedy A Fish Called Wanda (d. Charles Crichton, 1988). Although he co-starred in the Alan Bleasdale -scripted drama series G.B.H. (C4, 1991), playing a teacher in this story of political corruption, acting, whether in comedy or straight drama, increasingly took a back seat from the late 1980s, as he began to steer his career into new territory. Since the phenomenal success of the documentary series Around the World in Eighty Days (BBC, 1989), in which he followed the route taken by the fictional Phileas Fogg in Jules Verne 's novel, Palin has enjoyed renewed success with a spate of travel documentaries. All self-penned as well as presented, they include Pole to Pole with Michael Palin (BBC, 1992), Full Circle with Michael Palin (BBC, 1997), Michael Palin's Hemingway Adventure (BBC, 1999), Sahara with Michael Palin (BBC, 2002), Himalaya with Michael Palin (BBC, 2004), Michael Palin's New Europe (BBC, 2007) and Around the World in 20 Years (BBC, tx. 30/12/2008). He has also enjoyed a degree of success with the publication of his diaries, covering the years 1969 to 1987, in two volumes published in 2006 and 2009.